Thank you for joining us today as we hop along with Sabor Papel and Craftwell. I am going to share with you two projects that were created using the awesome Ole paper line. This weekend is National Scrapbook Day. I will be hosting a 12 hour crop at my local scrapbook store, Scrapbook Cafe in La Puente, CA. I am calling it a Weekend Craft Fiesta! How fitting is the Ole line?! Myself and my co-host, Esther Saldana who is awesome at designing paper crafts for all themes, both used Sabor Papel for our make-n-take projects. and a ribbon flower. 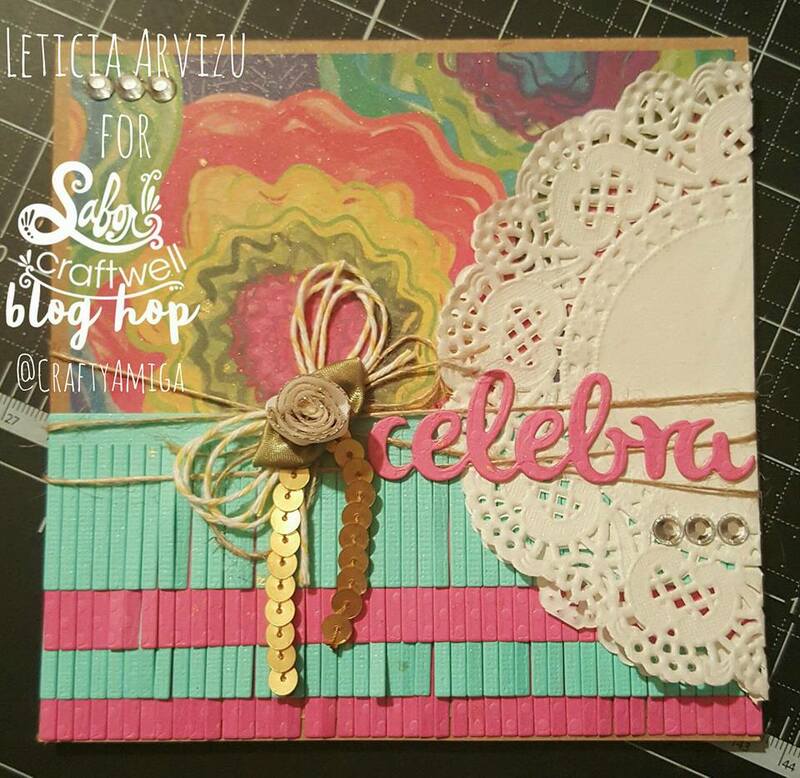 The die I used can be found on the Latina Crafter website. Next, I'm sharing Esther's project. 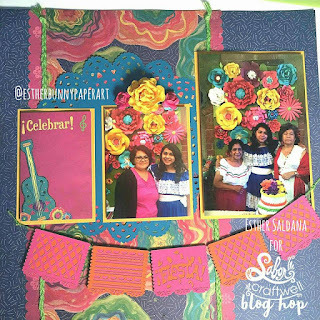 She created a 12 inch by 12 inch scrapbook page using Sabor Papel Ole paper line. She used a lot of texture as well utilizing burlap twine, die cut doilies and paper flowers. I am hoping you love this project as much as I do. You can find Esther and more of her awesome paper crafts here on Instagram. "When I saw Sabor Papel for the first time at CHA, I remember thinking someone finally got it. 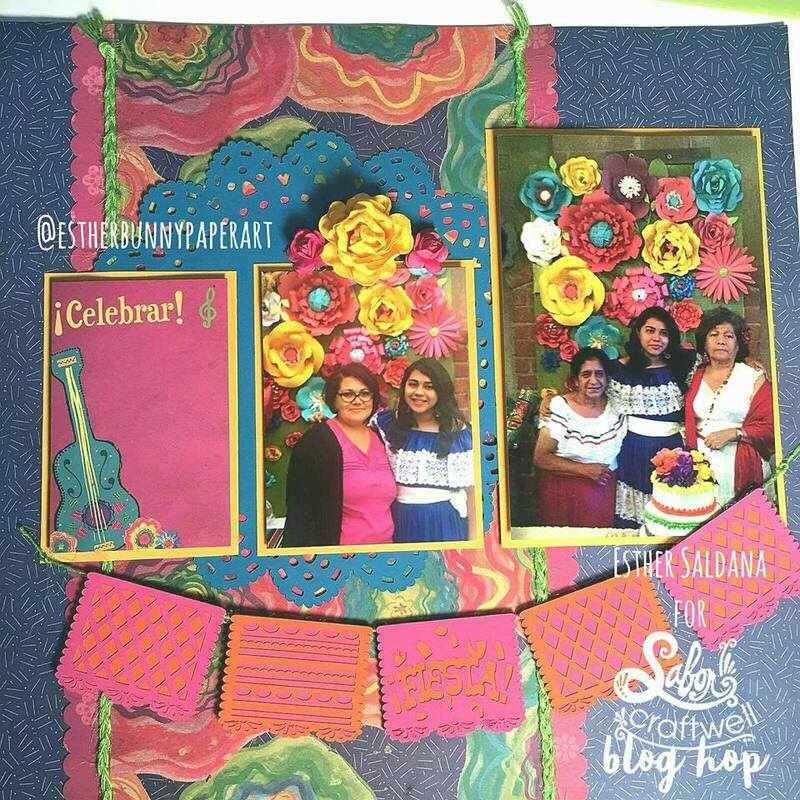 I felt very proud that someone was giving the Hispanic culture a voice in the paper crafting industry." Thank you Esther for all your help, you're an awesome designer! 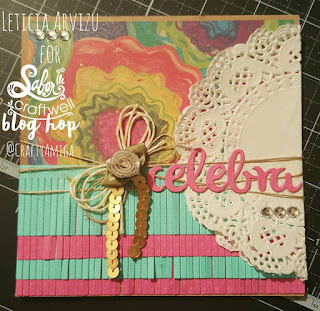 Prizes for Blog Hop include: one eBrush, a set of small embossing folders, a package of paper from Sabor, two packages of papers from Santana Crafts, and a $25 store voucher from Latina Crafter. In order to enter the giveaway, you must leave a comment on all participating blogs. 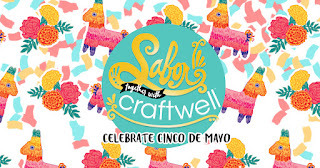 Please like the Sabor Papel and Craftwell's facebook pages but you are not required to. You can comment once on each blog through the 8th of May. Winners will be chosen at random from the comments left on all of the blogs We will check to make sure all of the rules are followed. Must be in the US or Canada to be eligible to win. The winner will be announced on Monday, May 10th on the Craftwell and Sabor Papel blogs.